Try this and use 200 or more ways to bookmark. 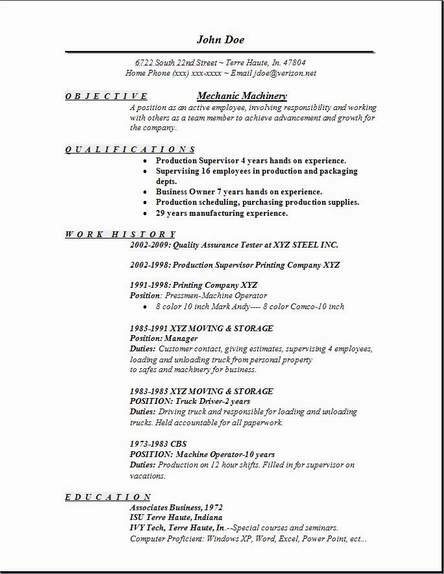 Let friends share with you by e-mailing them this page they could possibly need a resume too. Use your desktop as the place to put your resume file. I generally find things fast that are already on my desktop. 3 mechanic machinery resume formats waiting for you to start working on by edit them. Just backspace the info located on the samples and then substitute. Compare all three after the editing, choosing the ones you think have a great look. It's easy. After all, creating a resume with the least effort, is by far the best way to complete a new one in short time. 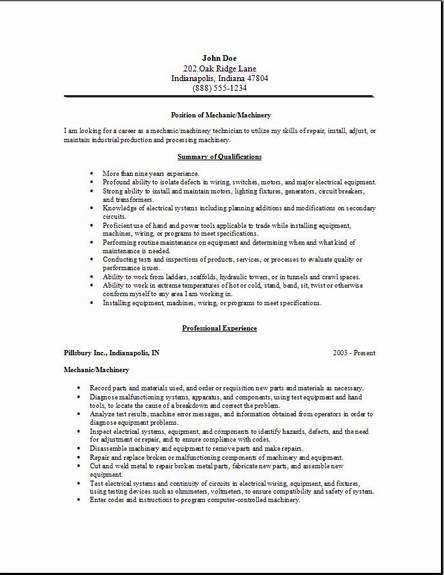 I know these free mechanic machinery resume examples will be very useful for you. I hope that you will complete one today. Other pages on this website have wonderful ideas you could use on your new resume. So don' wait any longer. Start today. The mechanic machinery template above has a new addition and so I hope you like the picture soft background I added for effect. Play around with it and try adding your own picture. You probably have one better than mine. Or you might want to visit the outside of the place you want to work, take a picture of it, and add it as your background to send off to them. They could be impressed by your creativeness. If you download one of the free templates, then visit the contact us page and let me know how it went. I like to hear comments. 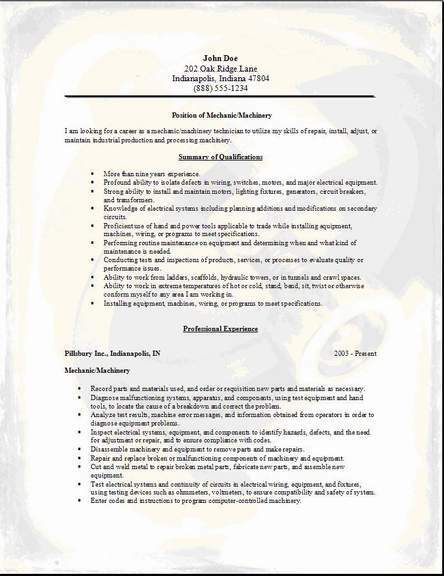 Get an extreme amount of information from this website, helping you create the strongest possible mechanic resume to get an interview you want. It never hurts to do everything humanly possible to get the interview. You can't ever have enough help deciding how to put together your information on your new mechanic resume. There are many things to pickup here on this site. Find help here easily, we have what you want on other pages. Creating a great resume takes time and patience and I know you will succeed. I hope you have the greatest success. Please tell friends where to get their resume.